With summer about to kick off and temperatures on the rise – with some Southern states looking at possibly 3 more months of 90+ degree days – it becomes even more important to make sure you and your family are staying safely hydrated. 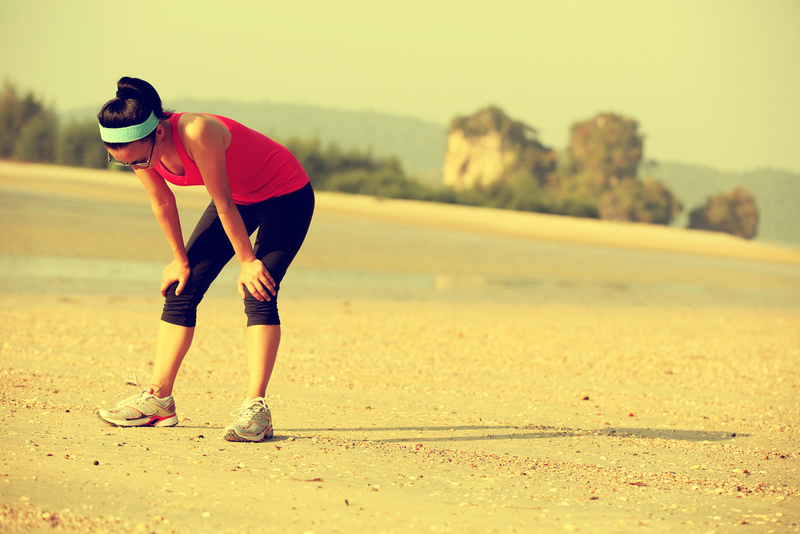 Even in cooler climates, it’s possible to become dehydrated – the symptoms of which will come on at a slower rate than in hot weather. But the heat, especially when combined with outdoor activities, can quickly take a toll if you’re not properly hydrated. As a general hydration rule, you’ll want to take in 1 cup of fluid or water for every 20 minutes of exercise. But John Batson, M.D, a sports medicine physician with Lowcountry Spine & Sport in Hilton Head Island, S.C., and an American Heart Association volunteer, cautioned against drinking fruit juices or sugary drinks, such as soda. “They can be hard on your stomach if you’re dehydrated,” he said. According to the National Center on Health, Physical Activity and Disability (NCHPAD), fluid should be consumed prior to, during, and after participating in physical activity or sporting events. It is recommended that 14 to 22 fluid ounces (oz) (just under 2 to 3 cups) be consumed 2 hours prior to an event or planned activity, and 6 to 12 oz be consumed every 15 to 20 minutes (as tolerated) during, as well as after, an activity in order to replace water loss. Be vigilant about experiencing any of the following symptoms when you’re outdoors or being active this summer, as each is a sign of dehydration. “If you get thirsty, you’re already dehydrated,” says Dr. Batson. If you know you’re going to be out in the heat all day, start your hydration routine the night before, and drink plenty of fluids upon waking. This gives you a head start, making it less likely you’ll become dehydrated. Simply, put, drinking too little fluid can cause thick-feeling saliva and a dry/sticky mouth. Without the lubrication of saliva, a dry mouth can cause a general soreness around the mouth and on the tongue. Your mouth might start to feel gummed up, and your dry tongue might stick to the roof of your mouth. If your muscles are feeling weak, dehydration may be the culprit. “When the nerves that connect to the muscles aren’t surrounded by as much water and sodium as they need,” they become hypersensitive, causing the muscles to involuntarily contract or spasm, says Michael Bergeron, executive director of the National Institute for Athletic Health & Performance at Sanford USD Medical Center in Sioux Falls, S.D. “Suddenly, your body doesn’t have the capacity to get enough blood flow to the brain. At the same time, you’re exerting yourself and that increases your body temperature and breathing rate, both of which cause the blood vessels in your brain to dilate,” says Bergeron, leading to a dizzy spell. If you feel lightheaded after you stand up quickly it could be a sign that your body’s low on H20. AARP.com reports that researchers at the University of Connecticut Human Performance Laboratory “note that dehydration causes changes in electrolyte balances in the blood, which directly affect parts of the mind responsible for reasoning.” Changes in electrolyte levels also can alter brain levels of serotonin, which influences mood. Almost every cell in the body needs water in order to function, so if you’re lacking liquid, your body must work extra hard to carry out basic functions. If you’re properly hydrated, says Men’s Fitness Magazine, your urine will be clear or very light yellow. But when you’re dehydrated, your kidneys try to keep every last drop of water in your body and thus decrease the amount of urine that you produce. The less water that your body has to flush out, the less water there is in your urine, and the more concentrated (read: darker) it becomes. If you’re out in the heat or working out, your body needs to sweat in order to prevent itself from overheating. To sweat, however, you need to be hydrated. Lack of sweating may create problems of temperature control and lead to steep rises in body temperature during hot weather. Disclaimer: References herein to any third-party publication, author, company, university, or other organization does not constitute, and is not meant to imply, an endorsement, recommendation or approval by such third party of Vollara products and services.